For oily, combination, blemish-prone and dry, sensitive skin. 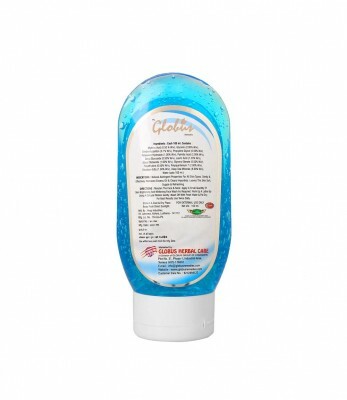 Formulated with a blend of Dead Sea Mineral Salt, Aloe Vera Leaf Juice, Bladderwrack Extract, Kelp Extract, Bitter Orange Leaf Oil, Mandarin Peel Oil, Pine Needle Oil, Thyme Flower Oil, Wild Mint Oil, Spearmint Oil and Vitamin C.
Dead Sea Mineral Face Wash contains a powerful blend of essential minerals, rich dead sea salts, pure marine algae and organic herbal extracts. This gentle yet purifying face wash leaves the skin feeling instantly refreshed, perfectly conditioned and visibly revitalised. 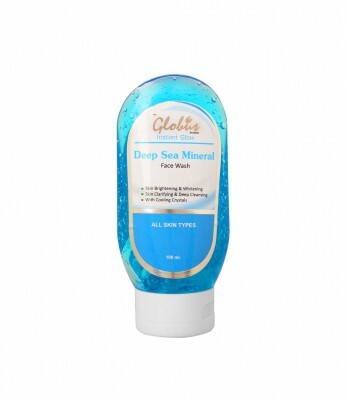 Rub Globus Deep Sea face wash on your face and neck with your fingers for a couple of minutes and rinse it off.